LAS VEGAS (AP) — Many experts believe online wagering is the future of gambling, but the casino industry is increasingly divided on the issue. The latest evidence of the split came Monday as the Coalition to Stop Internet Gambling launched the first commercial in a six-figure campaign warning of the dangers of legalized Internet gambling. The coalition is emphasizing the possibility that criminals and terrorists may use online gambling to launder money. The group has support from casino mogul Sheldon Adelson, CEO of Las Vegas Sands Corp. The GOP mega-donor is the 11th-richest American, according to Forbes. Adelson has said he is willing to spend “whatever it takes” to stop the spread of Internet wagering. Meanwhile, the casino lobby has made the legalization and regulation of online gambling its signature issue for the year. Major members including Caesars Entertainment Corp. and MGM Resorts International are taking steps to get into the market. The battle is turning into a boon for lobbyists and public relations experts in Washington, D.C., and state capitals around the country. Proponents formed their own group, the Coalition for Consumer and Online Protection, which is expected to launch its own six-figure ad campaign targeting federal decision makers. 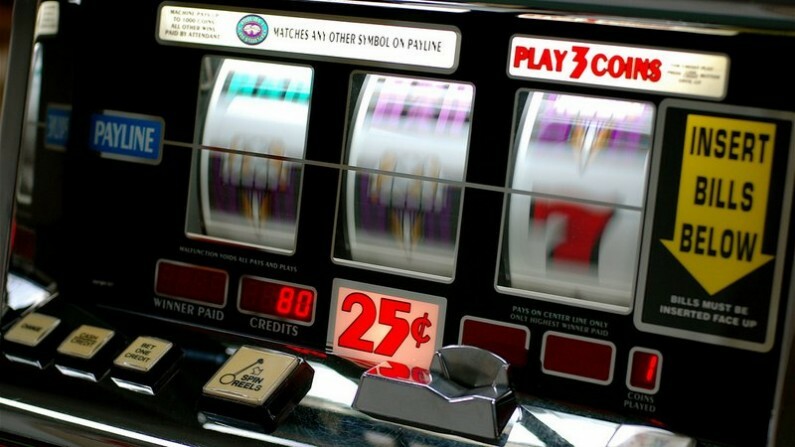 “The coalition will operate exclusively at the federal level — encouraging Congress to embrace regulation as the best means to protect minors, detect money launderers and eliminate a dangerous black market,” American Gaming Association President Geoff Freeman said in an email to his board last week. The new anti-online gambling ad features stock scary-voice narration and starts with a black and white shot of two men shaking hands in silhouette. “Right now, disreputable gaming interests are lobbying hard to spread Internet gambling across the country,” the ad warns. Established casino companies have regarded the rise of Internet gambling warily, wondering whether it will cut into profits from brick-and-mortar casino companies or revive the specter of corruption that the industry worked so hard to shed in the 1980s and ’90s. Some executives have decided that Internet gambling, or at least, Internet poker, can be properly regulated and boost the industry. But others have their doubts. Steve Wynn, CEO of Wynn Resorts Ltd., recently signaled that he had turned against online gambling for now. Morgan Stanley has predicted that by 2020, online gambling in the U.S. will produce the same amount of revenue as Las Vegas and Atlantic City markets combined: $9.3 billion. At least three congressional bills related to online gambling have been introduced this year. Two lawmakers introduced bills over the summer that would legalize some form of Internet gambling nationwide. This fall, Rep. Jim McDermott, a Democrat from Washington, introduced a bill that would tax federally sanctioned online wagering. Gamblers wanting to bet from the privacy of their homes have had few options in recent years. The federal government cracked down definitively on Internet gambling in 2011. But the same year, the U.S. Justice Department issued a ruling making online gambling legal so long as it’s permitted on the state level. Nevada, New Jersey and Delaware have legalized some kind of online gambling, and at least 10 other states are considering following suit, according to a survey conducted by Gambling Compliance, a group that tracks gambling-related legislation worldwide. This entry was posted in News and tagged casino industry, Coalition to Stop Internet Gambling, Internet Gambling by Kim Kalliber. Bookmark the permalink.